The beauty of the Pelalawan, with its dense forests, gushing streams and abundant wildlife, has long made the regency a star attraction of the Riau Province, drawing visitors and adventurers from the region and beyond. 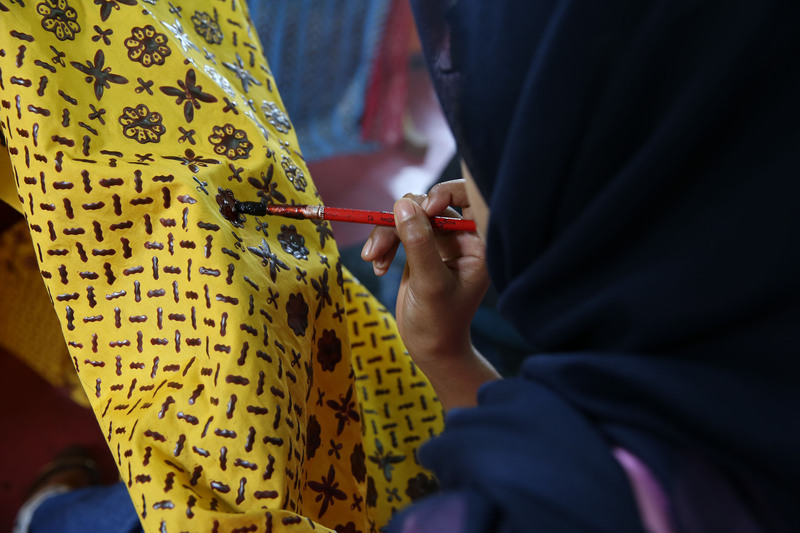 Its wondrous flora and fauna have also served as inspiration to local batik makers, who have attempted to capture the resplendence of the land through the native art form. 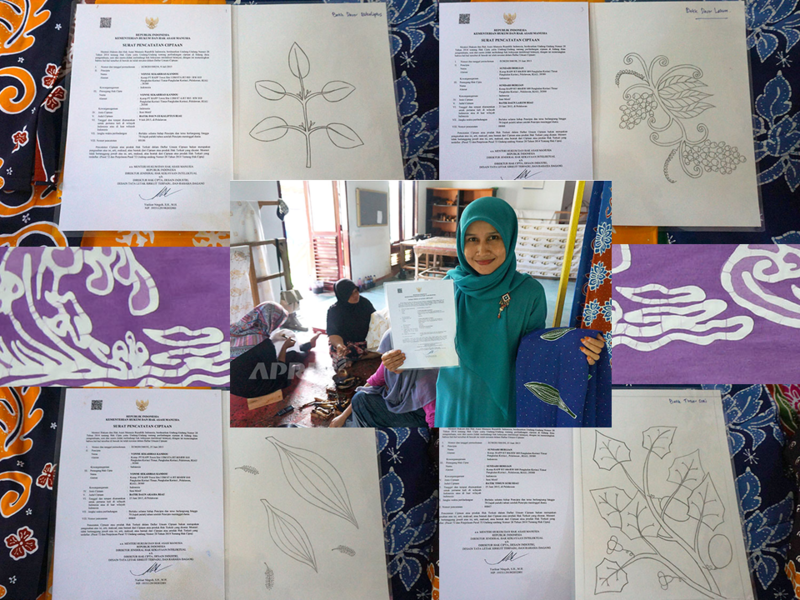 In November 2016, five batik patterns inspired by native plants of the Pelalawan Regency successfully secured intellectual property rights with the Indonesian government. 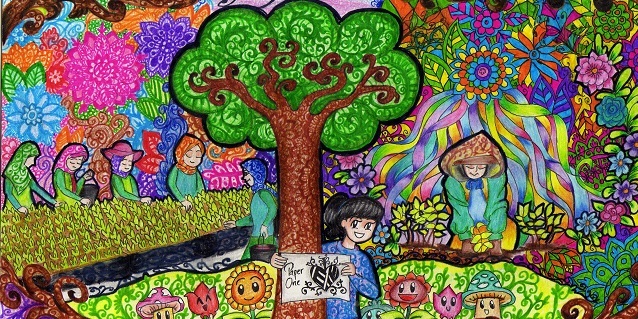 Joining Bono motif, a 10-meter wave seen in the Kampar River whose rights were obtained in 2015, the new batik motifs which gained intellectual rights in 2016 were Eucalyptus leaf, Acacia leaf, Lakum (a native fruit that bears resemblance to the grape) and the Timun Suri (a type of cucumber). The designs were all creations of talented batik makers from Rumah Batik Andalan cooperative, who were in turn trained by master craftsmen from PT RAPP in Pangkalan Kerinci. 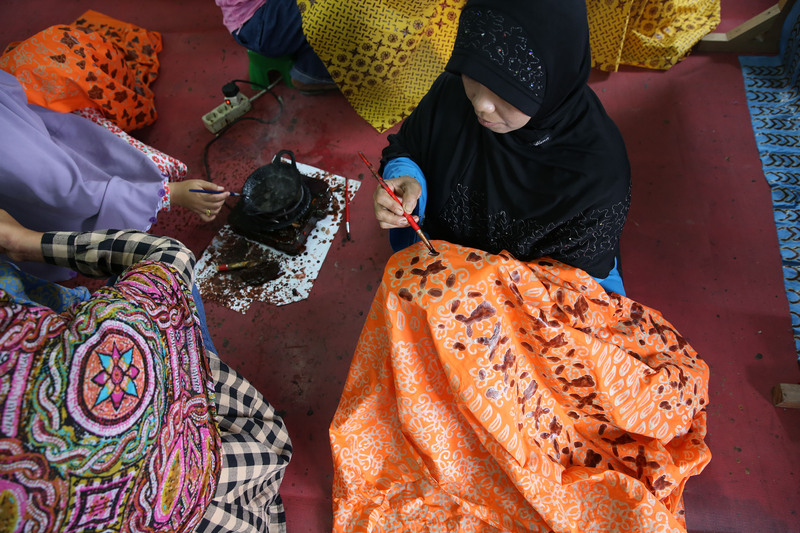 “With this, people cannot claim the patterns as theirs,” said Hari Fitri Rahmadhani, one of the cooperative’s members. 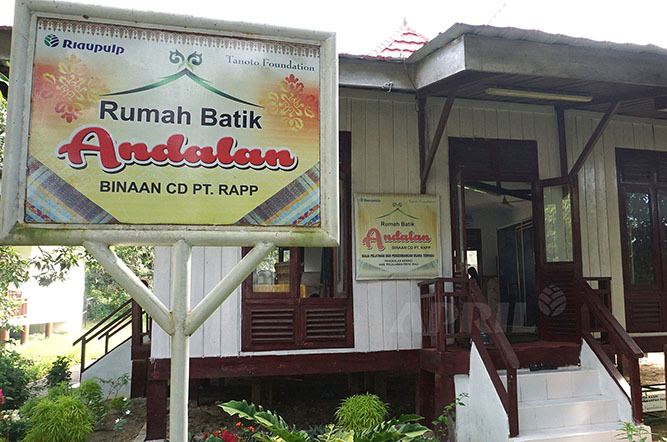 PT RAPP—the Indonesian subsidiary of global pulp and paper leader APRIL—provides skills training to residents of Pangkalan Kerinci where it operates to equip the community with the means and skills to raise their household income as part of the company’s corporate social responsibility programme. 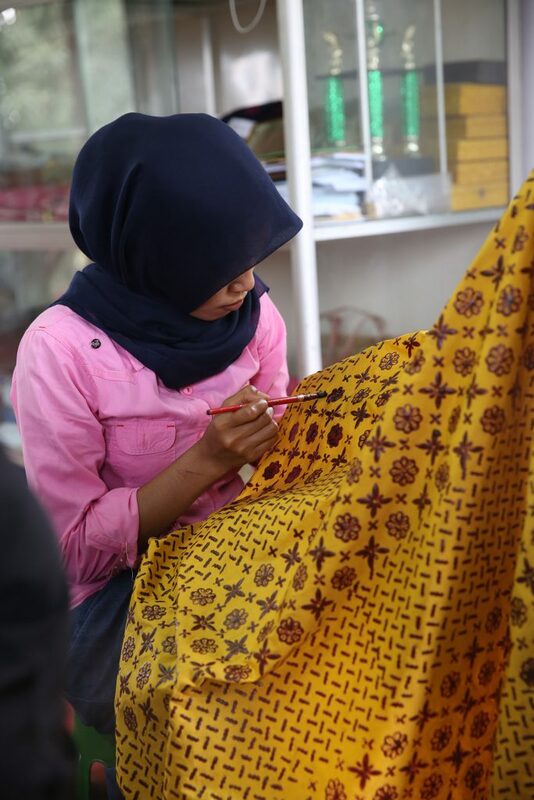 In addition to skills training, PT RAPP also provided Rp 50 million (US$3,759) and helped the cooperative establish a shop-house to retail handmade batik and paint-based batik. 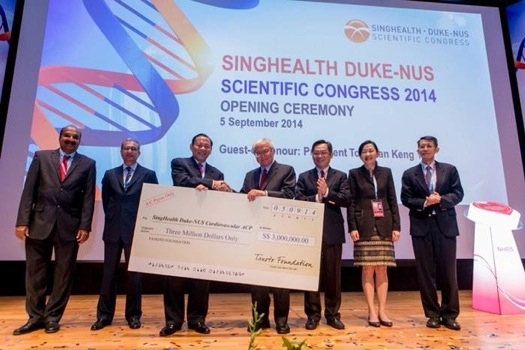 Over time, the cooperative was able to return the initial capital to the firm, became self-sufficient to pay its own operational costs, and eventually was able to earn a profit through the sales of customised products as well as from retail customers. 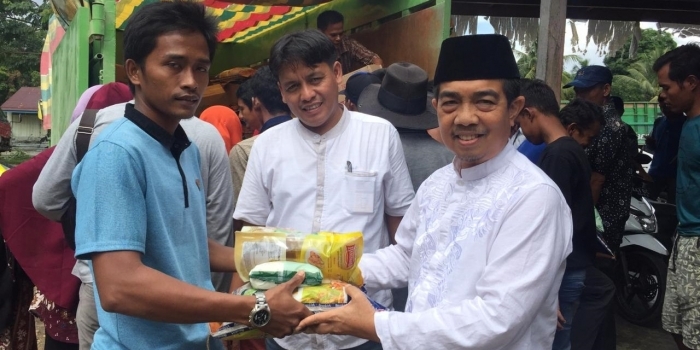 “Our regular clients include the local administration, nearby companies and the companies’ guests from Singapore, among others,” Fitri, a mother of three said.